BOSTON—Expressing frustration at the science fiction franchise’s repeated failure to deliver on their expectations, die-hard fans of Star Wars character Nien Nunb were once again disappointed by new film The Last Jedi, sources confirmed Thursday. “Christ, I came into Episode VIII thinking they’d at least delve deeper into his backstory as a Sullustan arms dealer, but mostly he’s just a blurry extra standing in the background,” said local fan Benjamin Waller, adding that it was an insult to devoted Nien Nunb fans for the movie’s creators to only include the alien pilot and Resistance member in a small fraction of the film’s 150-minute runtime. “When I first saw him onscreen, I thought, ‘Great, now the rest of the movie will really explore Nien Nunb’s motivations for convincing his race to join the Rebel Alliance.’ But then it just went back to Luke and Kyle Ren or whatever their names are. It’s like, who cares? 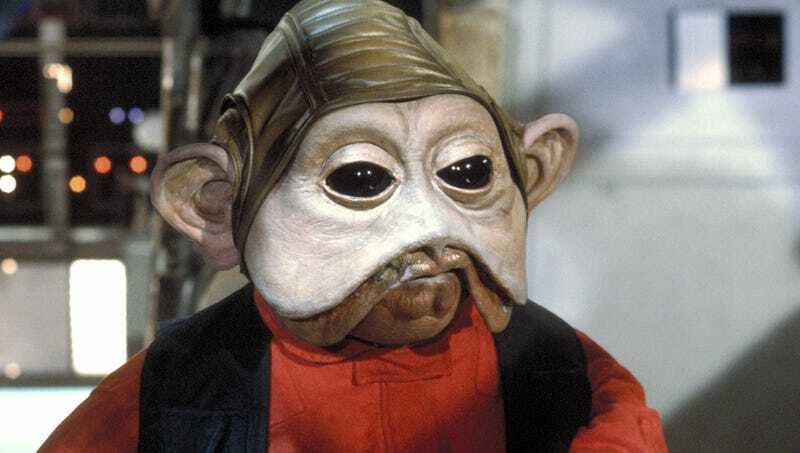 Give us more Nien Nunb!” Waller added that despite his disappointment, he was confident that the film was just building anticipation for an entirely Nien Nunb-focused Episode IX.